Trust - it's a rare quality in today's world and a cornerstone of Deborah Long's life philosophy. Listening while clients share their dreams and goals, then answering their questions and helping them explore their options without pressure. 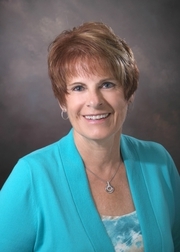 Deborah has been working in residential real estate in Michigan for over 10 years. Real Estate is a relationship based business and Deborah strives to create client relationships built on trust and confidence. Her ultimate goal: a business built upon referrals from clients who are satisfied with the professional and caring service they receive.